For kids, Summer Break = FREEDOM!!! For parents, Summer Break = What am I going to do with these kids all day??! In the beginning of summer, I am so thankful for slow mornings with no alarm clocks or frantic where-are-my-shoes-the-bus-is-almost-here panic attacks. I appreciate lunches in the park, afternoons at the beach and weekends at the campground. Most of all…I LOVE not having a schedule. After that, I find that ALL of us need at least a little schedule. I realize that using the words "Schedule" and "Summer" in the same sentence is frowned upon, but for the sake of this post, let's go with it. To me, having a Summer Schedule isn't about giving up those lazy mornings or lunches in the park. It's not even about scheduling every minute of your day with activities and projects. It may be Summer Break for our kids, but we still have a house to take care of and errands to run. We still have dinner to cook every night. 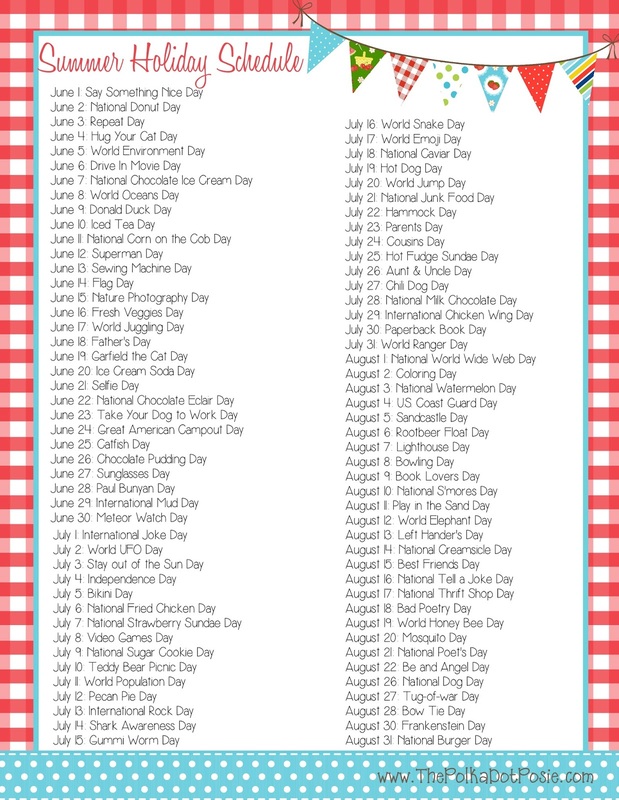 We still have activities, parties and events to plan for. We still have work and other professional responsibilities. And…we still have kids who have their own responsibilities, practices to get to, summer reading minutes to log, etc. 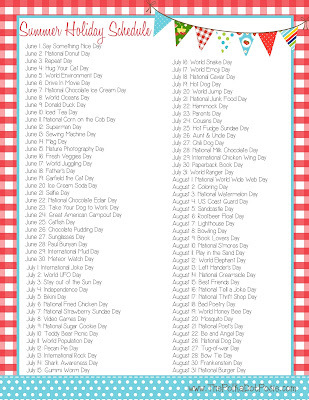 If we want to keep our summer chaos-free and still have time for FUN…it's a good idea to have a simple schedule to follow. Last summer, we created a Weekly Docket to help you do just that and this year, we are adding two fun printables to go with it!! 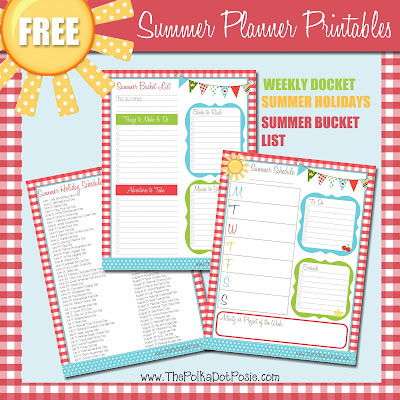 The next printable that was a HUGE hit last year is the Summer Bucket List! This summer is all about family, friends and FUN!! We can't avoid work or the daily chores & responsibilities that go along with being a grown-up (boo!!!) but we CAN vow to be more present and enjoy all the things that make life worth living. 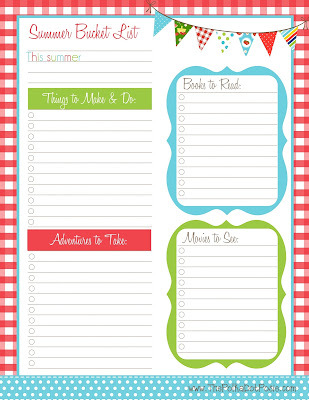 So, friends, what is your summer "rule" this year??!! 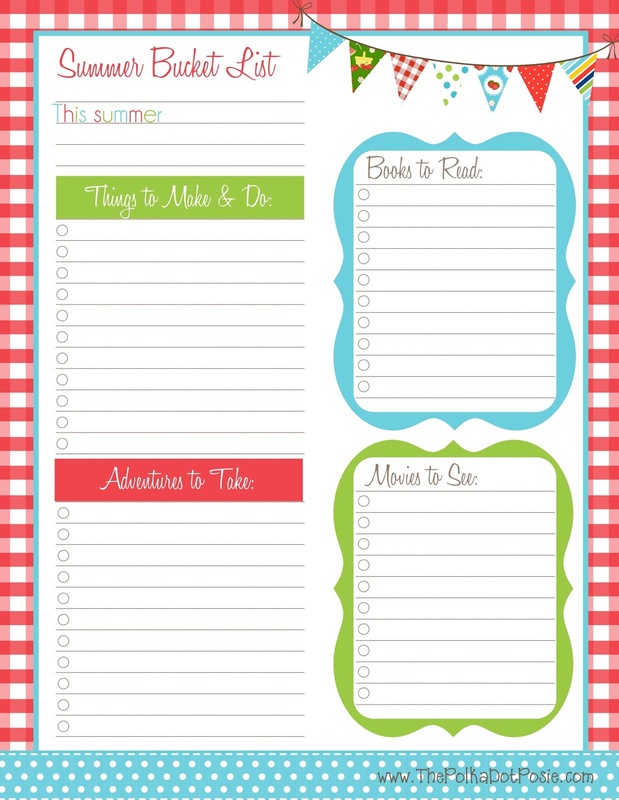 FREE Printable Last Day of School Signs!